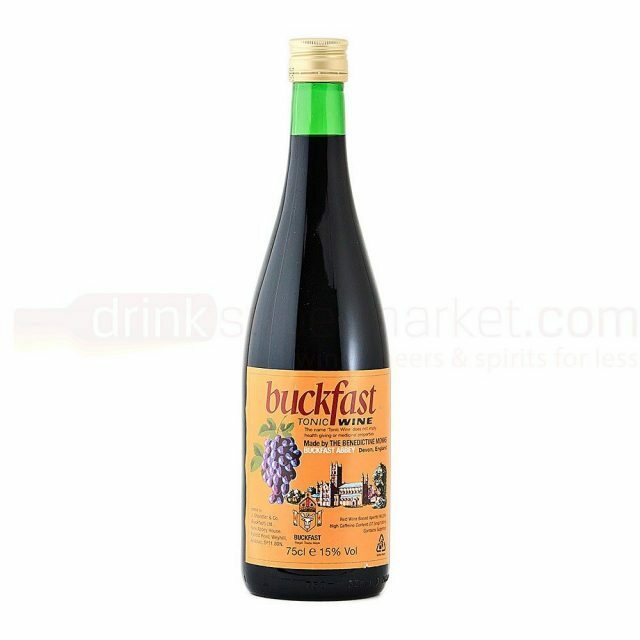 Sales of the infamous tonic wine Buckfast have reportedly risen by over 3,000 bottles a day in Scotland since the introduction of minimum unit pricing this May. Widely reported in the Scottish press, in the first 24 weeks following the introduction of MUP on 1 May, sales of Buckfast rose 17%, the equivalent of 3,600 bottles a day and a value increase of just over £5 million. The figures come from a study commissioned by cider maker Aston Manor, which show that from May to end of July this year Scots overall spent 11% more and consumed (or at least bought) 4% more than in the same 24 weeks post 1 May in 2017. Other figures likewise show a year-on-year increase in lager sales on the off-trade of 18% over the same period, 4.5% for wine and 9% for spirits. Aston Manor produces Frosty Jacks, a ‘white’ cider with a similar reputation to Buckfast for being consumed by youths and problem drinkers. As reported by Herald Scotland, retail sales of Frosty Jacks’ three-litre bottles have been very strongly hit by MUP, with sales dropping from 240 bottles a day to just 24. Part of the reason is the way MUP works. Buckfast is a fortified tonic wine with an abv of 15% whereas Frosty Jacks has a 7.5% abv. But as price is dictated by the amount of units per bottle, a standard 75cl bottle of Buckfast has remained unchanged at £7.99 while the three-litre cider bottle has increased from £3.70 to £11.25. Furthermore, Buckfast and Tennet’s Lager (which has also seen sales rise post MUP) were already priced above 50 pence per unit before the policy was implemented and so left unaffected by any price adjustments. Critics of MUP have pointed out the fallibility of the measure, with Miles Briggs, a health spokesman for the Scottish Conservatives, telling the papers that this was the reason why the party had argued for a ‘sunset clause’ to the policy. Speaking to Herald Scotland meanwhile, Colin Angus, a researcher at Sheffield University’s Alcohol Research Group which helped the Scottish government with its MUP modelling*, argued that it was necessary to compare the Scottish buying patterns over this period to those in England. He said: “A more relevant comparison is to look at alcohol consumption over the same period in England, where MUP is not currently in place. Alcohol sales in England were indeed much ahead of those of Scotland. There are, however, some salient reasons for this that are, perhaps, likewise being overlooked. To begin with England’s population of 54.7m is substantially larger than Scotland’s 5.3m and this summer was not only the longest and hottest for 40 years but coincided with a World Cup in which England did very well and the wedding of Prince Harry to Meaghan Markle. Sales from the World Cup alone are estimated to have boosted the Treasury’s coffers by over £300m. Alcohol Focus Scotland also noted that Scottish sales increasing coincided with these same summer phenomena. *And was involved in the raising of the UK’s drinking guidelines in 2016.